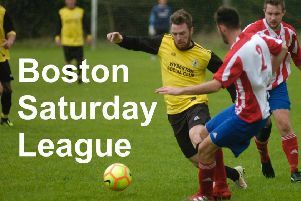 Gary Edgley gave his Boston Town side the thumbs up after ending their four-game winless run. Defeats to highflying Rugby and Daventry were sandwiched between draws with Cogenhoe United and Rothwell Corinthians. But after securing their UCL Premier status last week, the Poachers returned to winningh ways with a 3-2 victory at Oadby, courtesy of a Tiago Nassunculo brace and Fraser Bayliss’s finish. “I spoke with the players before the game that I was disappointed with our performance and result from the week before,” Edgley told bostontownfc.co.uk. “I believe this team is a lot better than what they showed last week and I wanted a response from them - and I got it. “Our first half was brilliant, we were solid in defence, dominated the midfield and we were electric going forward, causing the Oadby defence so many problems. “The only down side about the first half was the two clear chances we missed before Tiago Nassunculo scored a brace to give us a 2-0 half-time lead. “Oadby as expected came at us at the start of the second half without creating anything clear cut. “We then missed two more chances to really put the game to bed, again frustrating the hell out of me - especially when we then conceded a soft agoal to let Oadby bck into the game.